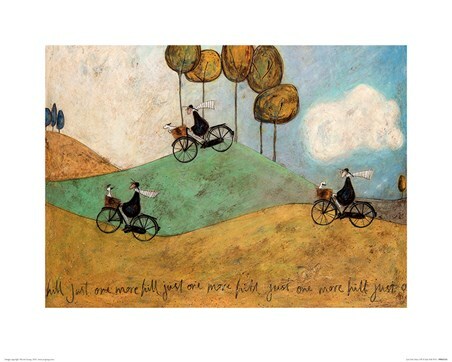 Art Print: Ernest Hemingway is off of another of his adventures and this time, he isn't accompanied by his wife Violet. 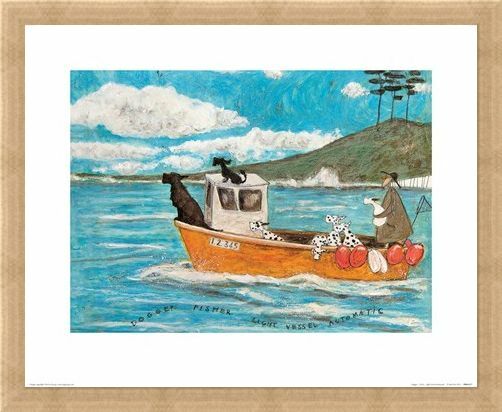 This gorgeous print features a sunny blue sky filled with white fluffy clouds, as Ernest travels along the clear and calm seas below in his vessel. 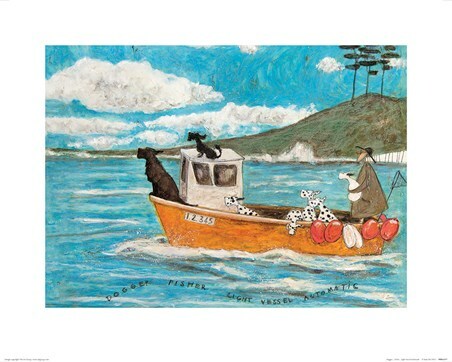 Seen sat at the front of the boat are two black dogs, as they enjoy the fresh air, while at the back of the vessel, a group of dalmatians are crowded around Ernest, excited about their journey. This will make a charming home addition. 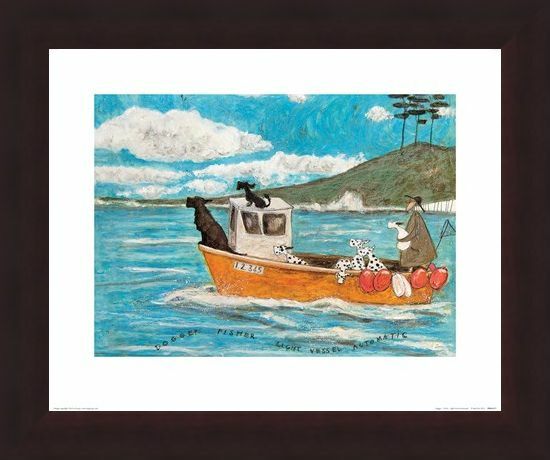 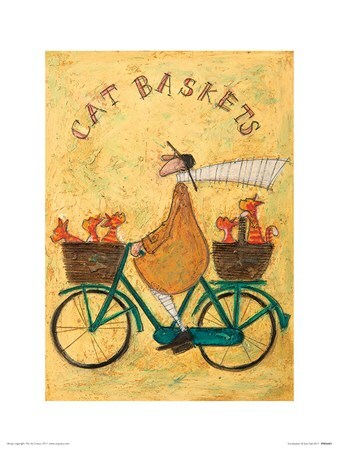 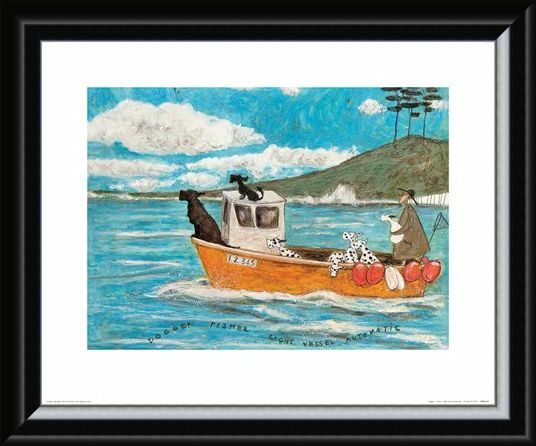 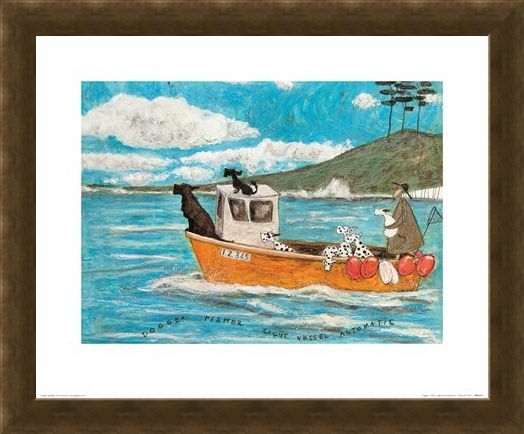 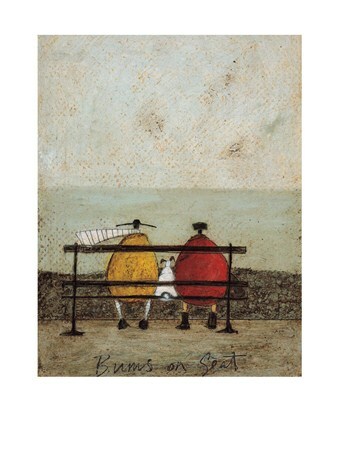 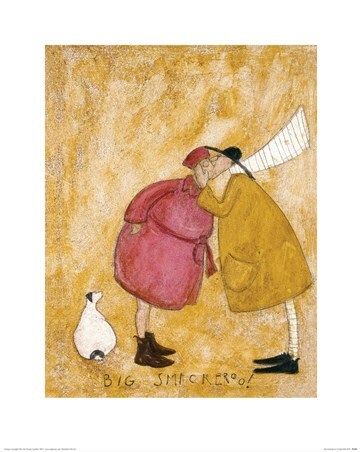 High quality, framed Dogger, Fisher, Light Vessel Automatic, Sam Toft print with a bespoke frame by our custom framing service.